“I’ve been doing this a long time- manipulating people to get my way. That’s why you think you love me. Because I’ve broken you down and built you backup to believe it. It wasn’t an accident. Once you leave this behind….. you’ll see that. -Caleb” ― C.J. Roberts, Seduced in the Dark. Psychological manipulators don’t come in our lives as strangers. They roam around us in the garb of our family and friends. Unlike the good people we meet, they use us to their own advantage and leave us damaged once the work is done. They inflict harm on us in such a way that it becomes quite difficult for us to know their evil intentions in the beginning. 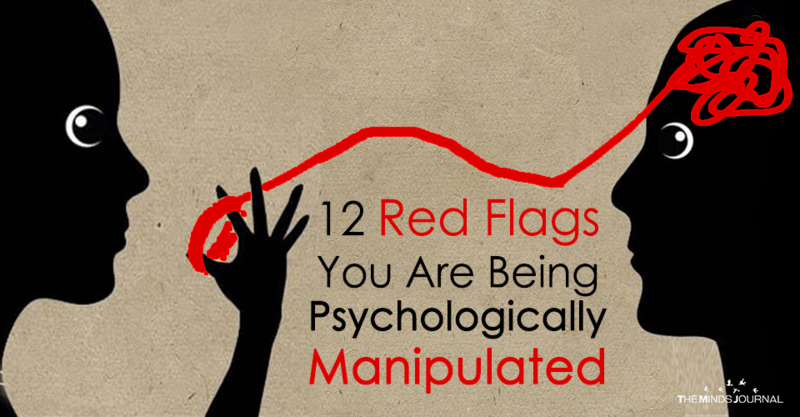 If one notices carefully, there are 12 signs which actually reveal, one is being psychologically manipulated. The manipulator will never want you to feel empowered. So they will try their best to earn your confidence so that they can get to know your insecurities. Once they have these secrets, they will use them against you, subtly attack you in form of sarcastic jokes or dark humour and might even attack you directly. Manipulators are always in a need of getting things done faster. If they want something from you, they will make it an emergency, pushing you towards an uncomfortable situation so that you can get it done for them. Gaslighting is one of the techniques used by the manipulator. Avoiding their own responsibilities, they will make you feel guilty of everything and once the victim succumbs to it, they will do their best to please the manipulator and come out of this feeling of being guilty. If they are giving too much of facts and showing too many data in an argument, it doesn’t mean they know a lot more than you. It means they are using statistics just to make you feel they are far superior to you and that’s how they stop you from winning the argument. The end result is you accept they are the ones who are right. Being silent and indifferent is one of their ways to make you do things for them. They will probably stop responding to your calls or texts, they will pretend they have forgotten to do certain things they were supposed to, they will act as if you don’t exist at all. Eventually, you are the one who will try to get the communication back and give in to their wishes. We are all full of flaws but continuously judging someone and criticising someone isn’t healthy either. By giving these negative criticisms about you, they point out your flaws, lowering your confidence-level and you soon start losing your self-worth. This gives them an upper-hand over you and you tend to depend on them which they use to their advantage.